For the last few weeks, we’ve been focusing on how to save money on transportation. Now, we’re going to start looking at another potential money sink: banking and investing. I found a few bank statements from 2005 and estimated that I made 108 ATM transactions that year (averaging 9 a month). If I made that many transactions outside my network, assuming a $2 fee for out-of-network ATM transactions, $206 vanishes from my wallet. That’s a car payment on a reliable used car. So, why isn’t this tip as useful any more? The big reason is that I don’t use ATM machines as frequently as I used to. Mostly, I use them to withdraw cash for things like farmers markets or community festivals or for small incidental purchases. First of all, I make more of my purchases online than I used to. With the exception of groceries and household supplies, I actually do the vast majority of my purchasing online at websites such as Amazon.com. Second, my commute is much shorter. Instead of driving 20 miles or so to work, I now walk to my workplace without passing by a single business. The temptation to stop for a coffee, check out the new releases at the bookstore, or other similar things is much smaller than it once was. Many of those incidental things are paid for out of pocket. Finally, I don’t buy nearly as many things as I used to. Not as much cash – in the form of cards or hard currency – flows out of my pocket as it did five or six years ago. So, is this tip still useful? I went and looked at my transactions over the last year. I used an ATM 23 times. Only two of those uses were on ATMs outside of my network, and those each cost me a $2 fee. If I had made all of those transactions outside of my ATM network, it would have cost me $42 more. While it’s not the much larger amount I would have saved in 2005, it’s still well worth keeping track of. There are a few tactics you can use to make sure that most of your transactions are inside your network, thus saving you those fees that can sneak up on you. First of all, identify a fee-free “home” ATM. 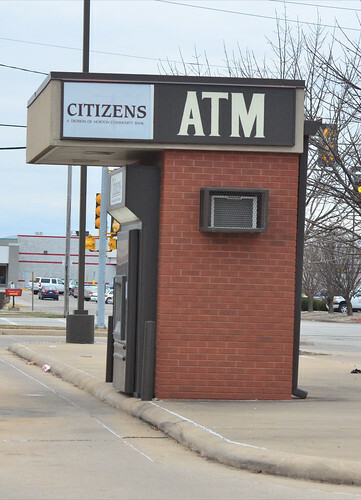 There should be at least one ATM that doesn’t charge you a fee that’s convenient to your typical daily activities. I have one of these – I go near it several times a week during the normal course of activities. That’s just the default ATM I use for activities, and I never see a fee. Second, plan in advance. There’s nothing wrong with being spontaneous, but even spontaneous events can be seen in advance. If you know you’re going out this weekend and will need some pocket money, get it now. Whenever you see a cash event coming up, get the cash now, not later. Later means that you’ll be limited in your ATM choices and will likely hit a fee. Third, make sure your bank has a big ATM network. Most banks make their ATM networks clear on their website, often even mentioning ATM locations. Know the locations for your bank and, if their location list is a short one and doesn’t cover areas where you often find yourself, use that as a tip that you might want to be looking for another bank. Finally, have some willpower. I used to be afraid to withdraw $100 or more from the ATM for future events because I was always afraid I would waste it on unimportant things. This would cause me to make more ATM trips than would be necessary, and because I was stopping so frequently, I would often visit ATMs that would ding me with unnecessary fees. Having enough willpower to not spend cash simply because it’s in your pocket not only saves you money from unnecessary purchases, it can save you money from ATM fees, too. These tactics together will minimize your money lost to ATM fees, even if you’re not using them as much as you once did.